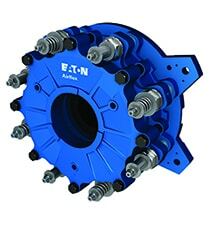 Eaton’s Airflex® clutches provide greater performance and quality for longer life brakes. For more than 40 years Eaton has provided superior products by innovating products to meet the needs of various industries. Kor-Pak provides technical expertise to ensure your Eaton Airflex clutch or brakes are right for your industrial application. As the leading U.S. distributor for Eaton Airflex products, Kor-Pak works with our customers to ensure the right Eaton products arrive and are ready for your equipment. With superior heat dissipation, the Eaton Airflex DBB disc-style brakes are designed for cyclic applications such as power shovels, power presses or bottling equipment. Spring-applied with available air- or hydraulically-released, the DBB brakes are long-wearing with self-lubricating PolyPak seals. Designed for equipment such as draglines, power shovels and conveyors that require high-cycle or high-inertia stops, the Eaton Airflex DBA disc-style brakes are ideal. With the large friction areas, The DBA brakes absorb and dissipate energy. The Eaton Airflex DBA brakes are available as spring-applied and air- or hydraulically-released. When you need a precise balance of rotating components you can trust the superior performance of Eaton Airflex DBBS disc style brakes. These spring-applied with air-released or hydraulically-released brakes are designed to dissipate heat. Eaton Airflex DC clutches and brakes provide the same torque capacity in a smaller package. The DC Clutches have either a single- or multiple-disc design, featuring long-wearing, self-lubricating PolyPak seals that eliminate premature failure from twisting. 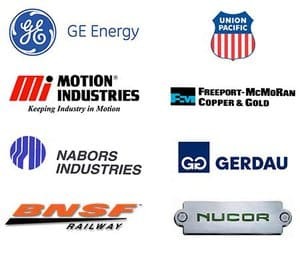 They excel in applications from power presses and tension brakes to emergency stop brakes on unwind stands and clutches on metalforming applications. The disc type Water-Cooled Third Generation Brake with external water cooled dynamic brake designed dissipates high thermal loads. The internal design and increased water flow provide for improved fluid dynamics and better energy dissipation. The brake is available with Eaton’s Airflex dual piston design or the air and water cooled combination style brake. For drilling rigs, logging equipment, mooring systems or large, big equipment and tough applications. The Eaton Airflex WCS disc-type brakes are externally-cooled and are designed to absorb and dissipate thermal loads from even the harshest applications. The Eaton Airflex WCB2 and WCBD disc-type are designed for the most severe clutch and brake applications These are disc-type externally-cooled brake units. The uniquely designed friction material interfaces with a copper alloy surface to virtually eliminate stick-slip. The Eaton Airflex WCB2 and WCBD products work equally well with open- or closed-loop circulating systems, maximizing their flexibility and ability to absorb and dissipate heat. With air- and water-cooled multi-disc brakes, the Eaton Airfelx WCSB Brakes are engineered to handle heavy-duty braking and tensioning applications. The superior braking and tensioning controls make the Eaton Airflex WCSB perfect for drawworks, mooring systems, log yarders and other heavy-duty equipment.